'Patients with GCS scores of 8 or less require prompt intubation', that's what ATLS tells us. The mantra of GCS 8, intubate has pervaded teaching for those involved in the management of patients with a reduced GCS (Glasgow Coma Scale). But on reflection it would seem slightly odd that the gain or loss of a single point on the Glasgow Coma Scale could simply account for a change in the decision as to whether a patient would benefit from intubation and ventilation. So should the patient with a GCS of 9 be best managed without a definitive airway, but when that slips to 8 we should reach for the portex®? In this podcast we take a deeper look at the GCS, we have a think about the role that it was designed to perform and consider how it should best be applied to acutely ill patients when considering protecting their airway. The podcast is based upon the blog from the TEAM Course blog(Training in Emergency Airway Management), make sure to go and have a look at the post and other resources available on that site. Advanced trauma life support (ATLS®): the ninth edition. J Trauma Acute Care Surg.2013;74(5):1363-6.Teasdale G, Jennett B. Assessment of coma and impaired consciousness. A practical scale. Lancet. 1974;2(7872):81-4. Teasdale G, Maas A, Lecky F, Manley G, Stocchetti N, Murray G.The Glasgow Coma Scale at 40 years: standing the test of time.Lancet Neurol. 2014;13(8):844-54. Duncan R, Thakore S. Decreased Glasgow Coma Scale score does not mandate endotracheal intubation in the emergency department. J Emerg Med. 2009;37(4):451-5. Green SM. Cheerio, laddie! Bidding farewell to the Glasgow Coma Scale.Ann Emerg Med. 2011;58(5):427-30. Healey C, Osler TM, Rogers FB, et al. Improving the Glasgow Coma Scale score: motor score alone is a better predictor.J Trauma. 2003;54(4):671-8. Isbister GK, Downes F, Sibbritt D, Dawson AH, Whyte IM. Aspiration pneumonitis in an overdose population: frequency, predictors, and outcomes.Crit Care Med. 2004;32(1):88-93. Adnet F, Baud F. Relation between Glasgow Coma Scale and aspiration pneumonia.Lancet. 1996;348(9020):123-4. Kulig K, Rumack BH, Rosen P. Gag reflex in assessing level of consciousness.Lancet. 1982;1(8271):565. Rotheray KR, Cheung PS, Cheung CS, et al. What is the relationship between the Glasgow coma scale and airway protective reflexes in the Chinese population?.Resuscitation. 2012;83(1):86-9. Moulton C, Pennycook A, Makower R. Relation between Glasgow coma scale and the gag reflex.BMJ. 1991;303(6812):1240-1. So we've got a massively important paper that we're going to kick off April's Papers of the Month podcast with, which is the RCT we've been waiting for; whether patients who have a ROSC should go to the cath lab, without a stemi, if the presumed cause is a coronary event? We've covered this topic in the past, for a background take a listen to PCI following ROSC and our December '17 papers of the month podcast. Next up, on the topic of over-testing, we have a look if we should be sending troponins and BNP's on our patients attending with syncope. Lastly, having spoken recently about the importance of ED airway registry's, we take a look at an open access paper from SJTREM that describes the practice, success and complication rates of ED advanced airway management. As always make sure you take a look at the papers yourselves and draw you own conclusions, we'd love to hear your thoughts. We were lucky enough to be back at the fantastic TraumaCare Conference last week. There were a whole host of fantastic talks on offer and the Emergency Medicine stream, arranged by our very own Rob Fenwick, included a pro/con debate on whether Emergency Medicine should be managing the trauma airway. During that debate a number of important papers were raised on the evolution and improvement in advanced airway management. In this podcast we'll run through some of the most important points from that talk. Make sure you take a look at the papers yourself and come to your own conclusions. We've got a broad array of topics and papers for you this month! First up we look at a paper from the NEJM assessing the potential benefits in providing ventilations to patients undergoing an RSI. Next we look at patients presenting with both syncope and pre-syncope to the emergency department, this paper quantifies the risk that we should be apportioning to these two different presentations. Finally, we look at a paper that suggests the manual pulse check in CPR is dead, and that the time has come for doppler and ultrasound to replace it! Hypothermia is a common problem for both pre and in-hospital clinicians. Understanding the underpinning physiology helps us deliver first class care to our patients, decreasing associated morbidity and mortality. There is some extremely difficult decision making to be done in severe cases of hypothermia and the podcast gives us an opportunity to explore them further. We'll cover the subject in depth with particular reference to the following categories of hypothermia; treatment, modifications in cardiac arrest and prognostication. Accidental hypothermia. Brown DJ. 2012 N Engl J Med. And lastly, if you have ever had a patient become severely agitated with ketamine sedation, you'll be keen to avoid that happening again! The last paper we look at is a randomised control trial looking at the potential benefits of using either midazolam or haloperidol to achieve that. We hope you find the podcast useful, as ever please go and take a look at the papers yourself and we'd love to hear any thought or comments you have either rat the bottom of the page, or via twitter @TheResusRoom. The assessment for shock needs to be part of the routine workup of every potentially unwell patient. Shock carries with it a high mortality rate, a range of meaningful interventions and the potential to make a real difference to our patients' outcomes. As always we’d love to hear any thoughts or comments you have on the website and via twitter, we look forward to hearing from you. ALIEM; Shock Index: A Predictor of Morbidity and Mortality? Risks and benefits of hypotensive resuscitation in patients with traumatic hemorrhagic shock: a meta-analysis.Natthida Owattanapanich. Scand J Trauma Resusc Emerg Med. 2018. We've got 3 great papers to kick off the year. First up we look at the recent PReVENT trial which looks at ventilator strategies in patients without ARDS with respect to tidal volumes. This paper continues the work from the much cited ARDSNet paper from 2000, and we'd highly recommend you go and have a look at that paper first. As always make sure you take a look at the papers yourselves and we'd love to hear and comments or feedback you've got. We hope you've had a fantastic 2018 and have some time off over Xmas and New Year to celebrate with friends and family. We thought we'd bring you some of the most influential papers that we've read over the last 12 months, that haven't necessarily fitted in that closely with some of the topics we've covered...we hope you enjoy! Thanks for all of your support with the podcast throughout 2018 and we wish you a very happy 2019. What to eat and drink in the festive season: a pan-European, observational, cross-sectional study. Parker HL, et al. Eur J Gastroenterol Hepatol. 2017. Work of Breathing into Snow in the Presence versus Absence of an Artificial Air Pocket Affects Hypoxia and Hypercapnia of a Victim Covered with Avalanche Snow: A Randomized Double Blind Crossover Study. Karel Roubík. PLoS One. 2015. Cardiac arrest management is core business of a resuscitationist and practice is constantly evolving in the pursuit of improving patient outcomes. We were lucky enough to be invited to the London Trauma Conference's Cardiac Arrest Masterclass stream, where Matt Thomas put on a superb array of talks around all things cardiac arrest. We managed to borrow a bit of time from some of the speakers and caught up with some of the topics covered including; airway management, ECGs pre/post arrest, POCUS, CRM and breaking bad news. We found the day hugely useful and we hope the podcast sums up some of the great points from the day. Well the year maybe coming to a close but the high quality papers keep on coming out! We've got 3 great articles to cover in this episode which have some key points to reflect on in our practice. First up we take a look at the application of Canadian c-spine rules by ED triage nurses and the potential impact this approach could hold. Next up we have a look at the addition of magnesium to current ED rate control of uncompromised patients presenting with rapid AF. Lastly we look at a paper on the conservative management of traumatic pneumothoraces, including those undergoing positive pressure ventilation, which reviews the complication rate of this approach. As always make sure you take a look at the papers yourselves and form your own opinions, we would love to hear you comments and feedback. We were delighted to be invited to cover the joint Faculty of Prehospital Care and BASICS conference held at the Royal College of Surgeons of Edinburgh. Dr Abi Hoyle – a paediatric emergency medicine consultant with a background in military and retrieval services. She gave us some key tips when dealing with paediatric patients. Ian Dunbar – a technical and medical rescue consultant with years of experience in the UK Fire and Rescue Service and ongoing involvement with British Touring Car Championship and the FIA. He did some myth busting around extrication from vehicles. Professor Mike Tipton – a leading figure in extreme physiology who is the Associate Head of Research at the Extreme Environments Laboratory in Portsmouth, is trustee/director of Surf Life Saving GB, sits on the medical committee for the RNLI and was awarded an MBE for services to physiological research in extreme environments. Mike spoke on the topic of drowning. Massive thanks to Dr Caroline Leech who put together this brilliant programme and extended the invitation to us. We hope you enjoy the podcast and extract some learning to inform your practice. We've heard a lot about advanced airway management recently, with some really significant publications over the last few months and in the last few weeks in JAMA we've had another! Cricoid pressure during emergency anaesthesia and for those at high risk of aspiration has been common place for more than half a century. But it's a topic that has caused quite some debate. On one hand it has the potential to reduce aspiration, a very real and potentially very serious complication of RSI. But on the other it has the potential to hinder the view on laryngoscopy and decrease first pass success. The founding evidence for cricoid pressure has always been a little soft. In this podcast we look at the background of cricoid pressure and then run through this key paper, discussing the implications it holds for both pre and in-hospital advanced airway management. As always we'd love to hear any thoughts or comments you have on the website and via twitter, we look forward to hearing from you. Welcome back to November's Papers Podcast! We've got 3 great papers for you again this month. First up we take a look at a paper that looks to quantify the amount of experience needed to be a proficient intubator, in this case in arrest. Next we have a look at a paper which shows a significant difference in mortality in cardiac arrest dependant on the intravascular access route used. Finally we have a look a really interesting paper in the dispatch method of a HEMS service which we be of real interest to all those involved in paramedicine and prehospital critical care. Make sure you take a look at the papers themselves and form your own opinions. We'd love to hear any thoughts and feedback you have. With bonfire night approaching we thought it would be a good time to have a think about burns. However burns are a significant issue at all times of year with around 130,000 presentations to UK EDs annually, 10,000 cases are admitted to hospital, 500 of these have severe burns and 200 of these will die. But most importantly intervention that we make can make a big difference to both morbidity and mortality, really affecting outcomes. Throughout this episode we'll be covering the essential first responder management, all the way through to the critical care that maybe required for the sickest of burns patients. Welcome back to October's Papers Podcast, this month we move airway from advanced airway management and bring you a broad array of papers. First up we have a look at the relative success of a variety of pharmacological strategies for managing the acutely agitated patient in ED. Next up we have look at the well know CURB-65 score and it's ability to predict the need for critical care interventions. Lastly, we may all feel at times that performing a CT head on those well patients solely because they take anticoagulants may be a little on the excessive side, we review a paper that looks at the yield of positive scans in this cohort. As ever don't just take our word for it, go and have a look at the papers yourself, we would love to hear any comments or feedback you have. So we're back with September's papers of the month a little later than usual but we wanted to give you a little time to digest AIRWAYS-2... before we give you some more prehospital research on advanced airway management in cardiac arrest! Next we have a look at a paper assessing Emergency Medicine clinicians' ability to predict hospital admission at the time of triage, should we be making early calls on the destination of our patients? As always we strongly suggest you have a look at the papers yourself and come to your own conclusions. Make sure you check out the hyperlinked blogs below that we mention in the podcast that contain some fantastic critiques. We'd also love to hear any comments either at the foot of this page or on twitter to @TheResusRoom. So we're back from our summer hiatus with a real treat. The long awaited AIRWAYS-2 paper has just been released and we've been lucky enough to speak with the lead author, Professor Jonathan Benger, about the paper and discuss what the findings mean for cardiac arrest management. AIRWAYS-2 looks at the initial advanced airway management strategy for paramedics attending out of hospital cardiac arrests, essentially whether or not the aim should be to place a supraglottic airway device or an endotracheal tube when advancing from simple airway techniques. The study was a huge undertaking with many speculating over how the results would change practice, including discussion of how it may affect paramedic's practice of intubation, all of which we cover in the podcast. Before you listen to the podcast make sure you have a look at the paper yourself, have a listen to PHEMCAST's previous episode which covers the study design and have a look at the infographics on the website which summarise the primary outcome and secondary analysis and which we refer to in the interview with Professor Benger. In the podcast we refer to Jabre's paper which can be found below and we also covered in May's papers podcast. Have a listen to the interview and let us know any thoughts or feedback you have, we're sure this one will create a lot of discussion! Welcome to August's papers of the month. So this is our last offering for the summer until whilst we take a short break until September, so we had to finish off we 3 great papers! First up we look at the drug of the moment (or decade...) in tranexamic acid and the effect that it has on outcomes in primary intracerebral haemorrhage. Next, what role does point of care ultrasound (POCUS) hold in the patient presenting with undifferentiated shock? We look at a randomised control trial of POCUS in this patient cohort that assesses the ability to translate POCUS into a mortality benefit. Finally we look at a delphi study published in the EMJ which explores expert opinion upon multiple aspects of paediatric traumatic arrests. The results are fascinating and may inform some of the CRM used in the next case you see. St Emlyns JC; Tich Tich Boom? Drugs in cardiac arrest are controversial. Prehospital research is notoriously difficult to perform. PARAMEDIC2 has just published in the New England Journal of Medicine and is a multi centre randomised placebo controlled trial looking at adrenaline (or epinephrine depending on which side of the pond you reside) in out of hospital cardiac arrest, no mean undertaking and a landmark paper. The paper has gained a huge amount of traction online with multiple blogs discussing the primary outcome which showed a higher survival rate in those receiving adrenaline when compared to placebo. This has been accompanied with a firm debate over the secondary outcomes, which include the rate of survival with a favourable neurological outcome (mRS 0-3), which showed no statistically significant difference between the two treatment arms, but in pure numbers gave a higher proportion of favourable outcomes in the adrenaline group. The trade off for this increased survival is the significant number of survivors with a poor neurological outcome. The question on everyone's lips then being; should we continue to administer adrenaline in cardiac arrest given the findings from this study? In the podcast we run over the main findings of the paper and are lucky enough to speak to the lead author Professor Gavin Perkins about the paper and some of the questions we and you have had following publication of the paper. A huge thanks to Gavin for taking the time to do this. REBEL Cast Ep56 PARAMEDIC-2: Time to Abandon Epinephrine in OHCA? Head injury worldwide is a significant cause of morbidity and mortality. Besides prevention there isn't anything that can be done to improve the results from the primary brain injury, there is however a phenomenal amount that can be done to reduce the secondary brain injury that patients suffer, both from a prehospital and in hospital point of view. In the podcast we run through head injuries, all the way from initial classification and investigation, to specifics of treatment including neuro protective anaesthesia and hyperosmolar therapy, to give a sound overview of the management of these patients. As always we welcome feedback via the website or on Twitter and we look forward to hearing from you. Welcome to July's papers podcast. There has been a plethora of superb and thought provoking papers published this month and we've got the best 3 that caught our eye for you. In this episode we look at the potential benefit of early vs late endoscopy in patients presenting with an acute upper GI bleed. Next we look at both intra and post ROSC hyperoxia and the associated outcomes. Finally we have a look at the utility of straight leg raise as a test to rule out potential pelvicfractures in out trauma patients. We strongly suggest you source the papers and come to your own conclusions and we'd love to hear any comments either at the foot of this page or on twitter to @TheResusRoom. Managing external haemorrhage is easy right?! Then why does haemorrhage remain a major cause of death from trauma worldwide? Ok, some of that is from internal sources, but…. With the right treatment applied in a timely fashion, the vast majority of these bleeds can be stopped. But with new advances like haemostatic agents, changing advice surrounding tourniquet use and practice changing evidence coming out of conflict zones can mean it’s difficult to remain current with the latest best practice. As always we welcome feedback via the website or on Twitter and we look forward to your engagement. Bennett, B. L & Littlejohn, L. (2014) Review of new topical hemostatic dressings for combat casualty care. Military Medicine. Volume 179, number 5, pp497-514. Lee, C., Porter, K. M & Hodgetts, T. J. (2007) Tourniquet use in the civilian prehospital setting. Emergency Medicine Journal. Volume 24, pp584-7. Nutbeam, T & Boylan, M. (2013) ABC of prehospital emergency medicine. Wiley Blackwell. London. Shokrollahi, K., Sharma, H & Gakhar, H. (2008) A technique for temporary control of haemorrhage. The Journal of Emergency Medicine. Volume 34, number 3, pp319-20. The European guideline on management of major bleeding and coagulopathy following trauma: fourth edition. Rolf Rossaint. Critical Care 2016. Welcome back to our monthly round up of the best papers in the resuscitation world. Again we've got 3 great papers covering some really important points of practice. First up we have a look at one of the most talked about diagnostic tests in Emergency Medicine, Troponin. We're are always looking to increase the sensitivity of the assay and test in order to ensure the patient hasn't got Acute Coronary Syndrome, but what are the implications of implementing a high sensitivity test? In our first paper we have a look at this exact scenario, the difference in patient outcomes and some of the resource implications to the service. Next up we have a look at apnoeic oxygeationn. We've covered this a number of times before and most recently in our Roadside to Resus episode on RSI. This time we have a look at the most recent systematic review and meta-analysis on the topic to see if there is more definitive evidence of benefit with this technique. Lastly we've found a paper that suggests a place for prognosticating off pH in cardiac arrest, is this something we should be adopting? Have a listen but most importantly have a look at the papers yourself and let us know your thoughts. Association between acidosis and outcome in out-of-hospital cardiac arrest patients. Lin CC. Am J Emerg Med. 2018. The management of a cardiac arrest can be stressful at the best of times, but add into that the patient being a child and you have the potential for an overwhelmingly stressful situation. Fortunately the major resuscitation bodies have some sound guidance on the management of paediatric arrests. In this episode we run through some of those guidelines and also the evidence base on the topic (scant at best!). We also touch on conveyance of the prehospital paediatric arrest, bringing familiy into the resuscitation area and knowing when to cease resuscitation. We hope the podcast helps you prepare that little bit more for the next case you might see and that it may also ease the stress of such an emotive case. Professor Simon Carley from St. Emlyns caught up with us at the superb Trauma Care Conference and talked through his top papers in trauma from the last 12 months. There's something for everyone from diagnosing arterial injuries, blood pressure targets in the head injury patient, to i.v. contrast all the way through to imaging in kids. If you haven't already, make sure you go and check out the St Emlyn's blog that underpins the talk that Simon gave. And if you're looking for a great value conference to suit all health care disciplines then make sure to keep an eye out for tickets when they go on sale for Trauma Care 2019. A huge thanks to Simon C for his time recording the podcast and we'd love to hear any comments or feedback. Dare we say it, we think this month's papers podcast is the best yet, we've got 3 superb papers and topics to consider! The literature has been pretty airway heavy this month so we've got 3 papers on and around the topic for you. First up we have a look at a really interesting paper from London HEMS looking at the risks v benefit of prehospital rapid sequence intubation in patients who are awake but hypotensive, is RSI a much needed move or something we should be looking to avoid prehospitally. Airways-2 will soon be published looking at supraglottic airway management compared to intubation as first line airway management in out of hospital cardiac arrest, but JAMA has just published a paper comparing bag-mask ventilation vs endotracheal intubation in the same situation. It'll be interesting to see if this papers results fall inline with Airways-2. Finally we take a look at a systematic review trying to give us the answer to direct or video laryngoscopy in emergency endotracheal intubation outside the OR. Evidence based medicine (EBM) allows us to deliver the best care to our patients and understanding the concepts involved is crucial. Over the last 18 month we've been building an online course to give people a sound understanding of EBM and we thought we'd give you a free taster of what it's all about. For this episode we’ve been lucky enough to catch a number of the speakers from the traumacare conference. First up, conference organiser Caroline Leech (EM + PHEM consultant) gave us a few minutes of her time to talk about the latest major trauma key performance indicators from NICE. Nicola Curry (Consultant Haematologist) spoke about transfusion in trauma and the use of massive haemorrhage protocols. Importantly, she covers the evidence behind the current strategies and where future research opportunities exist. Stuart Reid (EM + PHEM consultant) covered the ways of optimising timely transfer of major trauma patients. This had an inter-hospital focus, but there were certainly some elements which can be applied to a primary patient transfer. David Raven (EM consultant) provided an update to the ongoing work with the HECTOR project. We’ve previously heard about their amazing course but this time he was able to let us know about the “silver trauma safety net” which is being used by the ambulance service in the West Midlands. This aims to provide appropriate recognition and triage of trauma in the elderly population. Finally, Elspeth Hulse (anaesthetic SpR) gave us a timely reminder about the identification and management of organophosphate poisoning - really useful from both and EM and PHEM perspective. In this episode Rob takes us through a case he saw recently that brought about some invaluable learning. We're not going to give you anymore clues than that! Welcome back to April's papers of the month. We've got 3 papers this month that look to challenge our work up strategies for the critically unwell. First up we look at a paper on the Ottawa subarachnoid haemorrhage rule, specifically considering if we can decrease scanning in patients with a suspected SAH and what application of the rule might mean for our practice. Next up we look at a paper that might shine some real doubt on the use of IO access in our patients in cardiac arrest. Once again we'd really encourage you to have a look at the papers yourself and we've love to hear any thoughts or feedback you have. Gaining control of the airway in a critically unwell patient is a key skill of the critical care team and littered with potential for difficulty and complications. NAP4 highlighted the real dangers faced with their review of complications of airway management in the UK, lessons have been learnt and practice has progressed. As always there is room to improve on current practice and a recent paper published in Anaesthesia describes a comprehensive strategy to optimise oxygenation, airway management, and tracheal intubation in critically ill patients in all hospital locations. How often do you prescribe or give i.v. fluids to your patients? How much thought goes into what's contained in that fluid? What effect will you fluid choice have on your patient? Two trials on crystalloid administration in the acutely unwell patient have occupied a lot of conversation in the research world over the last few weeks, both published in the NEJM and in this podcast we take a look at them. Make sure you take a look at the papers yourself and come up with your own conclusions. There are a whole host of superb FOAM resources out there on the topic that are well worth a look and referenced below. We'd love to hear any thoughts and comments below. REBEL.EM; Is the Great Debate Between Balanced vs Unbalanced Crystalloids Finally Over? Welcome to March's papers of the month. We know we're biased but we've got 3 more superb papers for you this month! First up we review a paper looking at oxygen levels in patient's with a return of spontaneous circulation following cardiac arrest, is hyperoxia bad news for this patient cohort as well as the other areas we've recently covered? Secondly we have a look at a paper reviewing the association between time to i.v. furosemide and outcomes in patients presenting with acute heart failure, you may want to have a listen to our previous podcast on the topic first here. Lastly, when you see a pregnant patient with a suspected thromboembolic event, can you use a negative d-dimer result to rule out the possibility? We review a recent paper looking at biomarker and specifically d-dimers ability to do this. We'd love to hear from you with any thoughts or feedback you have on the podcast. And we've now launched of Critical Appraisal Lowdown course, so if you want to gain some more skills in critical appraisal make sure you go and check out our online course here. So the three of us are back together and going to take on Sepsis! It's vital to have a sound understanding of sepsis. It has a huge morbidity and mortality but importantly there is so much that we can do both prehospital and in hospital to improve patient outcomes. We hope the podcast helps refresh your knowledge on the topic and brings about some clarity on some contentious points. As always don't just take our word for it, go and have a look at the primary literature referenced below. On a not infrequent basis we will come across patients in hospital who have a CT head scan that appears to show an unsurvivable event. Having sourced opinion from our neurosurgical and neurology colleagues we may well be given the advice to withdraw care for the patient. It has become increasingly recognised that prognosticating in such patients at an early stage is extremely difficult with numerous cases surviving what was initially thought to be an unsurvivable event, with a good neurological outcome. This joint document from the Intensive Care Society, Royal College of Emergency Medicine, Neuro Anaesthesia and Critical Care Society of Great Britain & Ireland and the Welsh Intensive Care Society gives new guidance for such perceived devastating brain injuries and will challenge many peoples thinking on the topic with additional questions being asked on resource utilisation. In this podcast Caroline Leech, EM and PHEM Consultant in Coventry, discusses the guidelines and the implications they hold for our practice. As always make sure you read the document yourself, we would love to hear your thoughts. Welcome back, we've got 3 absolute beauties of papers for you this month! In this episode we cover a paper that you have to know about! The use of tranexamic acid(or TXA) has become widespread in the case of major trauma and post partum haemorrhage. This time we discuss a recent paper that asks us if giving it within 3 hours is enough, or whether we need to be even more specific regarding its urgency of administration in order to save lives from bleeding. There is a superb podcast over at our buddies site PHEMCAST which covers an interview with one of the authors and we'd highly recommend listening to that! Prehospital Care is evolving rapidly and is one of the most exciting and dynamic specialties to be involved with at the moment. As a reflection of it's progress the Faculty of Pre Hospital Care held its first scientific conference this week. We were lucky enough to be invited by Caroline Leech, EM & PHEM Consultant and the person responsible for organising this superb event, to interview some of the superb speakers at the event. Tim Nutbeam – Pre-hospital research: what do we not know? A huge thanks to all involved in the conference for having us at the conference and we hope to see you all next year! Welcome back to the podcast and what we hope will be a superb year. We've got three excellent papers that are extremely relevant to our practice and will have an impact on practice. First up it's a paper looking at the benefit of iv versus oral paracetamol in the Emergency Department, something we do really frequently but what does the evidence say? Next we have a look at the difference that topical TXA could make to epistaxis in terms of bleeding cessation. Lastly we look at a systematic review looking at adenosine versus calcium channel blockers for SVT. Very soon we'll be releasing our Critical Appraisal Lowdown course, so keep an eye out for that. And finally a huge thanks to our sponsors ADPRAC for all of the support with TheResusRoom. Handover of patient care occurs at multiple points in the patient's journey and is a crucial point for transference of information and inter professional working. Whether it's the big trauma in Resus with the prehospital services presenting to the big crowd, right the way through to the patient coming to minors who looks like they will be going home shorty, each of these transactions of information needs to be done correctly. Handover can be stressful though and different parties will have different priorities that they are trying to juggle. In this podcast we explore handover, some of the barriers and issues that exist. We have a look at the evidence that exists on it's importance, impact and associated techniques. We also look at tools that exist that can be used to facilitate effective handover. You've got a critically unwell patient who needs an RSI. You've got lots of things to think about but specifically do you ramp them up or keep them supine, additionally do you use a checklist or are those things a complete waste of time? This month we have a look at 2 papers which should shed some light on the subject. We also look at a systematic review and meta-analysis which hopefully helps us answer a question we've been looking at on the podcast for quite some time: in the the context of a cardiac arrest that has gained a ROSC, if the ECG is not diagnostic of a STEMI but the history is suggestive of a cardiac event, should the patient go straight to the cathlab for PCI? As always don't just take our word for it but go and have a look at the papers yourself and we would love to hear your thoughts. Traumatic Cardiac Arrest; for many of us an infrequent presentation and it that lies the problem. In our previous cardiac arrest podcast we talked about the approach to the arresting patient, however in trauma the approach change significantly. We require a different set of skills and priorities and having the whole team on board whilst sharing the same mental model is key. Have a listen to the podcast and let us know your thoughts. The references are below but if you only read one thing take a look at the ERC Guidelines on traumatic cardiac arrest which we refer to. Resuscitation attempts and duration in traumatic out-of-hospital cardiac arrest. Beck B. Resuscitation 2017. If you talk to people about the topic of thrombolysis in PE they'll tell you about the controversy of the submassive category, but there's a universal acceptance that thrombolysing massive PE's is well evidenced and straight forward. In this episode we delve back into the literature and not only explore massive PE thrombolysis, but also the gold standard to which it is judged upon, heparin. Have a listen to the podcast and as always we would love to hear your thoughts. https://www.ncbi.nlm.nih.gov/pmc/articles/PMC1438862/pdf/jrsocmed00257-0051.pdfValue of anticoagulants in the treatment of pulmonary embolism: a discussion paper. Paul Egermayer. Journal of the Royal Society of Medicine 1981. Welcome back to November's papers podcast! This month we've got some great topics to discuss. We look at another paper on the topic of oxygen therapy, this time a hug article from JAMA on oxygen therapy in the context of acute stroke and the impact on disability. Next up we look at a fascinating case report of a extradural haematoma that was drained via an I.O. needle prior to surgical evacuation. Lastly we follow up on our previous podcast on PE; the controversy, which looked at the prevalence of PE in those patients presenting with undifferentiated syncope. This paper puts a great counter to the conclusions arrived at in that Prandoni paper. Last time in Roadside to Resus we discussed cardiac arrest with a view to obtaining a return in spontaneous circulation, ROSC. However gaining a ROSC is just one step along the long road to discharging a patient with a good neurological function back into the community. In fact ROSC is really where all of the hard work really starts! In this podcast we talk more about the evidence base and algorithms that exist to guide and support practice once a ROSC is achieved. We'd strongly encourage you to go and have a look at the references and resources yourself listed below and would love to hear your feedback in the comments section or via twitter. This podcast covers some highlights from the talks at the BASICS and The Faculty of Pre-Hospital Care 2017 Conference. Professor Mark Wilson; Pre-hospital Care, where are we going? Thanks to all involved for making the podcast and for a great day at the conference, and to PHEMCAST for the collaboration! Welcome back to October's papers podcast! This month we have a look at a paper that shines further light on the use of ultrasound in predicting fluid responsiveness in the spontaneously ventilating patient. We look at a paper that sets to challenge the concerns over hyperoxia in presumed myocardial infarction. And lastly we look at how stress impacts in a cardiac arrest situation on the team leader's performance. We have a significant way to go with respect to our cardiac arrest management. 25% of patients get a ROSC with 7-8% of patients surviving to hospital discharge, which as mentioned is hugely below some countries. In this podcast we run through cardiac arrest management and the associated evidence base, right from chest compressions, through to drugs, prognostication and ceasing resuscitation attempts. Make sure you take a look at the papers and references yourself and we would love to hear you feedback! Impact of cardiopulmonary resuscitation duration on survival from paramedic witnessed out-of-hospital cardiac arrests: An observational study. Nehme Z. 2016 Mar;100:25-31. doi: 10.1016/j.resuscitation.2015.12.011. Epub 2016 Jan 13. Bicarbonate use in cardiac arrest. The topic still provokes debate and multiple publications on the topic still hit the press reels. People talk of the increased rate of ROSC and the improvement in metabolic state, whilst others talk of the increase in mortality and worsening of intracellular acidosis. We hope you enjoy it and would love to hear your feedback! Early or late intubation in ICU patients, which is associated with worse outcomes? What are the predictors of a poor outcome in patients presenting with syncope? Does a cervical collar result in a demonstrable raise in ICP viewed by ultrasound? This is the second part of the Roadside to Resus discussion on asthma. Make sure you’ve listened to part 1 before delving into this one! We hope you enjoy the episode and would love to hear your feedback! BestBets; In a severe Exacerbation of asthma can Ketamine be used to avoid the need for mechanical ventilation in adults? Asthma is a common disease and presents to acute healthcare services extremely frequently. The majority of presentations are mild exacerbations of a known diagnosis and are relatively simple to assess and treat, many being completely appropriate for out patient treatment. On the other hand around 200 deaths per year are attributable in the UK to asthma, and therefore in the relatively young group of patients there is a real potential for critical illness with catastrophic consequence if not treated effectively. The majority of these deaths occur prior to the patient making it to hospital making the prehospital phase extremely important and hugely stressful in these cases. It is also worth noting that of the deaths reported that many were associated with inadequate inhaled corticosteroids or steroid tablets and inadequate follow up, meaning that our encounter with these patients at all stages of their care even if not that severe at the point of assessment is a key opportunity to discuss and educate about treatment plans and reasons to return. Part 2 will be out shortly, we hope you enjoy the episode and would love to hear your feedback! We're back with more great papers for you this month, hot off the press! There's been a lot of talk over the last few years about apnoeic oxygenation and whether it really holds any benefit to patients undergoing RSI, we have a look at a systematic review that may help answer that question. This is the first of a new series of Roadside to Resus podcasts. We've been joined by James Yates, a Critical Care Paramedic with the Great Western Air Ambulance to make it a truly multidisciplinary team. Each monthly episode we'll be discussing acute presentations, including the latest and most influential evidence base surrounding them. We really want to break down some barriers between pre-hospital and in hospital teams and it soon becomes evident in this first podcast that many of the problems we face are shared throughout the patient journey and across disciplines! Once again we hope you find the podcast useful. Get in touch with any comments, questions or suggestions for further topics. Most of all don't take our word for it, but make sure you delve into the references yourself and make up your own mind. C-spine immobilisation is a controversial topic because of a lack of high quality evidence from clinical trials. Historical approaches have been challenged, however NICE guidance continues to recommend 3-point immobilisation for all patients with suspected spinal injury despite considerable clinical equipoise. In this episode we discuss the complexities of balancing the risks and harms when trying to provide a patient centred approach, rather than a “one-size fits all” model. We're back with 3 superb topics this month! Next we look at the need to scan facial bones when scanning a patient's head following trauma. Have a listen to the podcast and most importantly make sure you have a look at the references and critically appraise the papers yourself. We'd love to hear your thoughts and comments at the bottom of the page. Guidelines. Algorithms. Evidence based medicine. These all play a significant part in the safe and effective management of the majority of our patients. As a result there is a danger that treatment pathways are followed blindly without critiquing their use and there is real risk we can loose sight of what’s best for the patient in front of us. Guidelines encourage inflexible decision making, which creates further challenge when we are met by patients who do not fit standard treatment pathways. If this is the case then the management of cardiac arrest, which is taught and delivered in a didactic and protocol driven fashion, is surely the pinnacle of the problem. Standard Advanced Life Support (ALS) is totally appropriate for the majority of cardiac arrests, but what happens when it fails our patients? Refractory ventricular fibrillation (rVF) is, by its very nature, defined by the failure of ALS, but frustratingly there is very little evidence, or guidance, surrounding how to manage this patient group. A final option is the use of double sequential defibrillation (DSD), using two defibrillators, charged to their maximum energy setting, to deliver two shocks in an almost simultaneous fashion.DSD was first described in human subjects in 1994 when it was used to successfully defibrillate five patients who entered rVF during routine electrophysiologic testing. These patients were otherwise refractory to between seven and twenty single shocks. Looking at the available literature there has been little interest in DSD since then, until the last two to three years when it appears to have undergone a small revival. Sadly, there is no evidence for its use beyond case reports and small case series. The case reports appear to show good results with four in the last two years reporting survival to discharge with good neurological outcome. There are also a handful of other cases discussed in online blogs and articles with good outcomes. But these case reports and articles almost certainly represent an excellent example of publication bias. The most recent case series reviewed the use of DSD by an American ambulance service over a period of four years. During this time DSD was written into their refractory VF protocol, with rVF defined as failure of five single shocks. The study included twelve patients, three of whom survived to discharge with two of these demonstrating a cerebral performance score of 1. Despite appearing to demonstrate reasonable outcomes for DSD, sadly this study has a number of significant limitations. One important point the authors fail to discuss is that the two neurologically intact survivors received their DSD shocks after two and three single shocks respectively, not after five shocks which would have been per-protocol and consistent with the authors definition of refractory VF. High quality manual cardiopulmonary resuscitation (CPR) with minimal delays has been shown to improve outcomes following out-of-hospital cardiac arrest (OHCA). There are concerns that the quality of CPR can diminish over time and as little as 1 minute of CPR can lead to fatigue and deviation from the current recommended rate and depth of compressions. With this in mind, a mechanical device to provide chest compressions at a constant rate, depth and without tiring has considerable theoretical benefits to patients, yet clinical equipoise remains about the role for this treatment modality. Hope you enjoy and feel free to leave any feedback below! We're back with another look at the papers most relevant to our practice in and around The Resus Room. The WOMAN trial was a huge trial that looked at tranexamic acid in post partum haemorrhage, it's gained a lot of attention online and we kick things off having a look at the paper ourselves. Next up, and following on nicely from our previous Cardiac Arrest Centres podcast, we have a look at a systematic review and meta-analysis on whether prolonged transfer times in patients following cardiac arrest affects outcomes. Finally we have a look at a paper on management of PEs in cardiac arrest which draws some very interesting conclusions on the management of such cases and the associated outcomes! Please make sure you go and have a look at the papers yourself and as ever huge thanks to our sponsors ADPRAC for making this all possible. Normal Oxygen saturations for healthy young adults is approximately 96-98%, there is minor decrease with increasing age. Will mental status give me an early indication of hypoxaemia? Why the fuss about hyperoxia? Which patients are at risk of CO2 retention and acidosis if given high dose oxygen? What is the oxygen target? What about in Palliative Care? Most breathlessness in cancer patients is caused by airflow obstruction, infections or pleural effusions and in these cases the issues need to be addressed. Oxygen does relieve breathlessness in hyperaemic cancer patients but not if SpO2 >90%. Midazolam and morphine also relieve breathlessness and are more likely to be effective. If tachypnoeic over 30 breaths per minute an increase over the marked flow rate should be delivered, note this won't increase the FiO2! Patients over 50 years of age and long term smoker with a history of SOB on exertion and no other cause for their breathlessness should be treated as having COPD. So the bottom line? Well just like Goldielock's porridge, with oxygen we don't want too little, we don't want too much but we want just the right amount! How many patients are admitted from your ED with suspected cardiac chest pain? What strategy of testing do you employ to rule out acute myocardial infarction? When and why do you send troponins in this process? In this podcast Ed Carlton, Emergency Medicine Consultant at North Bristol Hospital and Troponin Researcher, talks to us about troponin rule out strategies, recent publications on the topics, where the future of troponin research is heading and most importantly what this all means for our practice. Our previous podcast on troponins acts as a good introduction to this episode. Have a listen to both and we'd love to hear your comments at the bottom of the page and we hope you found this as useful as we did! This month we've got a good variety of topics. We look at an recent systematic review and meta analysis on the prognostic value of echo in life support, an update from Blyth's paper in 2012. We review a paper looking at testing gin patients presenting to the emergency department in SVT. Finally we cover a paper looking at different methods employed when running an Emergency Department. As always make sure you go and have a read of the papers yourselves and come up with your own conclusions, we'd love to hear your feedback. This podcast is taken from a talk I gave at Grand Rounds at The Bristol Royal Infirmary on the Top 10 Papers in EM over the last 12 months. Many of these have been covered in previous podcasts, but running through them gives a good opportunity for further recap and reflection. Propofol or Ketofol for Procedural Sedation and Analgesia in Emergency Medicine-The POKER Study: A Randomized Double-Blind Clinical Trial. Ferguson I, et al. Ann Emerg Med. 2016. Enjoy and we'll be back with our papers of the month next week! Acute cholecystitis is a diagnosis that we make frequently in the Emergency Department. But like all diagnostic work ups there is a lot to know about which parts of the history, examination and bedside tests we can do in the ED that really help either rule in or rule out the disease. In this podcast we run through some of the key bits of information published in the Commissioning Guide Gallstone disease 2016, jointly published by the Association of Upper Gastrointestinal Surgeons of Great Britain and Ireland & the Royal College of Surgeons. We then concentrate on a recent systematic review of the diagnostic work up for Acute Cholecystitis. Yet again the evidence base brings up some issues to challenge our traditional teaching on the topic but should help polish our management of patients with a differential of Acute Cholecystitis. This month we look at a paper concentrating on the risk of contrast induced nephropathy in contrasted CT scans, looking specifically at the need to hydrate at-risk patients prior to and following CT scans. The use of prehospital blood is also under the spotlight with the ongoing RePHILL trial. We look at a paper reviewing prehospital blood use with the Kent Surrey Sussex prehospital service and the described physiological changes seen in patients receiving blood. Make sure you also go over and check out the podcast episode from PHEMCAST on the RePHILL trial with Jim Hancox. Finally I was lucky enough to catch up with Johannes von Vopelius-Feldt, the lead author of a paper in press on the impact of prehospital critical care teams on out of hospital cardiac arrests. You can find the fantastic opportunity of a scholarship to be an Emergency Nurse Practitioner here from ADPRAC. RELEL.EM; The AMACING Trial: Prehydration to Prevent Contrast Induced Nephropathy (CIN)? So today Rob and I were lucky enough to be asked to attend the Trauma Care Conference 2017, to listen to some of the great talks and catch up with some of the speakers for their take on the highlights of the talks. We managed to catch the following speakers, here are the topics they covered and relevant links to the resources discussed. Gareth Davies, Consultant Emergency Medicine, Royal London Hospital; Understanding where, when and how people die? Have a listen to the podcast and again huge thanks to the speakers for taking their time to share their superb talks with a wider audience. Centralisation of care for specialist services such as stroke, trauma and myocardial infarctions is becoming more and more common place. But where will it stop and what does it mean for the specialty of Emergency Medicine? In this episode we have a look at a recent pilot RCT published in the journal of Resuscitation looking at the feasibility of setting up an bigger RCT to evaluate moving prehospital patients to a cardiac arrest centre. The paper itself is a great piece of work but the bigger discussion around the topic is also a really important point to consider. Have a listen to the podcast, see what you think and please post you comments on the site for us all to see. Welcome back to Papers of the Month. March has given us some great papers. We kick off with a couple of papers looking at rib fractures, associated morbidity and mortality and also looks at management of flail segments. We then turn our attention to airway management and look at a paper reviewing the outcomes associated with patients who are intubated during resuscitation from cardiac arrest. As ever we would highly encourage you to go and read the papers yourselves, these are only our takes on the literature and we would love to hear your thoughts below. Think of rhabdomyolysis and you'll think of an elevated creatine kinase (CK). The condition ranges from an asymptomatic period to a life-threatening condition with a hugely associated rise in CK which can also be accompanied by electrolyte disturbance, renal failure and disseminated intravascular coagulation. Rhabdomyolysis is caused by a breakdown in skeletal muscle and occurs most commonly following trauma, very often that can be due to a 'long-lie' when a patient is unable to get off a floor until help arrives after a prolonged period. There are other causes including drugs, muscle enzyme deficiencies, electrolyte abnormalities and more. The presentation itself is pretty vague and suspicion of the disease needs to be pretty high. Patients can experience weakness, myalgia and the dark'coca-cola urine', the diagnosis is then confirmed with a serum elevation in CK. The big concern with Rhabdomyolysis is the hit the kidneys take. Acute kidney injury is due to the heme pigment that is released from myoglobin and haemoglobin and is nephrotoxic. Early aggressive fluid rehydration aims to minimise ischaemic injury, increase urinary flow rates and thus limit intratubular cast formation. Fluids also help eliminate excess K+ that may be associated. But have a think about the management in your ED, how high does that CK need to be to require i.v. fluids and admission to hospital? Normal CK enzyme levels are 45–260 U/l. Optimal fluid rate administration is unclear, some papers suggest replacement of isotonic saline at rates of 1-2L per hour. , adjusted to 200-300mL per hour to maintain a diuresis. Attention needs to be paid to urine output serum markers and fluid status. A lot of the evidence and knowledge surrounding rhabdomyolysis is from humanitarian disasters; earthquakes, terrorism along with observational cohorts, but at the end of the day we need to work with what we've got. Have a listen to the podcast and see what you think, the application of the evidence base may change your practice. Welcome back to Papers of the Month. February holds a diverse number of topics on some really interesting areas of practice. We kick off with a snap shot systematic review from the Annals of Emergency Medicine on the effect of Amiodarone or Lignocaine on the outcome from refractory VF or VT arrests, are drugs losing more favour yet again in cardiac arrest. Next up is a pilot study following the surgical theme of minimal intervention for appendicitis, can antibiotics safely be used in a particular cohort of patients to prevent the need for surgery? And moreover could this be even safer than the traditional surgical cure? Last up we cover a paper looking at the survival from traumatic cardiac arrest and consider the bias that may occur by reporting those resuscitation attempts that are of limited duration in with the whole cohort; are we painting a overly negative picture of the prognosis of traumatic cardiac arrest? The AHEAD Study; scan all head injuries on warfarin?? Those of us who are a bit longer in the tooth have spent most of our careers not scanning everyone who sustained a head injury on warfarin, but in 2104 NICE published guidance suggesting we do just that. At times, with the huge burden we place on our radiology services, it is difficult not think we're over doing things with all of these scan requests, especially when the patient has no adverse symptoms or signs. Fortunately the AHEAD study has just been published which looks at thousands of patients presenting to ED's on warfarin with a head injury. The paper is open access and deserves a full read, in this podcast I run through some of the main parts of the study and have a think about how it might impact on our practice. This is just one part of the puzzle on the management of patients with anticoagulated head injuries, we had a look previously on what to do if you perform a scan and that appears normal in our Anticoagulation, Head Injury & Delayed Bleeds Podcast. Hope you enjoy the podcast and we'd love to hear any of your feedback on social media or on the website. Cardiac Arrest; when to stop? A lot of our podcasts have focussed on prognostic factors in arrest to help with the decision making of continuing or stopping resuscitation in cardiac arrest. There would appear to be a huge variety in practice as to when resuscitation is ceased, and in that way having explicit guidance to unify practice can at times seem appealing. In this episode we have a look at a recent paper covering the topic, it suggests a group of patients accounting for nearly half of cardiac arrests, that upon recognition could safely lead us to cease efforts. Have a listen to the podcast and let us know what you think! The publishing world seems to have wound down a bit for the festive break, but 4 papers caught out eye that can add some further context to practice in the Resus Room. Firstly we take a look at two papers looking at the conversion from non-shockable to shockable rhythms in cardiac arrest, both the likelihood and the associated prognosis. Next up we have a look at a paper focussing on Cerebral Performance Categories (CPC's) and their reliability as an outcome for studies. Lastly we have a look at the recent Cochrane Review on video laryngoscopy vs direct laryngoscopy for adult intubation. Thanks again to our sponsors ADPRAC for supporting the podcast. As the years tick by our healthcare systems work harder and harder to ensure that acute coronary syndromes are picked up as they present to our Emergency Departments, the evolution of high sensitivity troponins and their application have been key to this. The utility of a test however is dependant upon it's application to the appropriate patient. In a heavily burdened system it can at times seem sensible to front load tests and 'add on a troponin' before we are even sure the history is consistent with a possible acute coronary syndrome. But is this a safe approach for our patients and what are the potential consequences? In this podcast we run through a recent paper from the US on the topic. Whilst not the highest level of evidence and also looking at a system not entirely generalisable to the UK, it does highlight the aforementioned concerns and is a useful reminder to consider our approach to testing in patients with chest pain. We are certainly not berating the use of troponin, we just think the paper serves a great reminder that testing must be appropriately applied. Enjoy, and as ever we'd love to hear your feedback! So my talk at the ICS SOA 2016 conference on whether ED should be allowed to intubate certainly provoked some discussion, which was fortunate as it was the purpose of the talk! If you haven't listened to it yet, stop listening to this and have a listen to the talk here first. Should EM clinicians be allowed to RSI? I was lucky enough to be asked to talk at the ICS SoA 2016 conference on the topic of EM doctors carrying out RSI's in the UK and this podcast is a copy of that talk. I hope it provides some context both to UK practitioners and also to those from other countries, who may not understand what the big deal is all about. Welcome to December's Papers of the month where we'll be looking at the papers recently published that have caught our eye. First up, what happens when clinicians override clinical decision rules for PE? Are we better than the the rules? Next we have a look at a review article that runs through the back ground literature on subsegmental PE's, their diagnosis and management. And finally we have a look at a paper that helps to benchmark ED airway management with regards first pass success rate. Our sponsors ADPRAC are giving away another £30 iTunes voucher to spend on education/entertainment to support your work life balance! All you need to do is click the link on our home page through to the ADPRAC website and answer the question relating to the podcast, good luck! Upper GI Bleeding, what's the risk? Patients frequently present to the Emergency Department either with direct concern following an upper gastro intestinal bleed, or with a history that points towards the diagnosis. When these patients are haemodynamically unstable or with ongoing high volume bleeding the decision to admit or discharge becomes simple. But when the episode has settled, deciding whether they are safe to be discharged and continue with outpatient follow up can be difficult. Lots of us use scoring systems such as the Glasgow-Batchford Score or the Rockall Score but how much do we actually understand regarding the 'positive' and 'negative' outcomes of those scores? A recent paper on the topic helps to cast some light on the topic and forms the basis of this podcast. One of the frequently used scoring systems is the Glasgow-Blatchford score below that bases it's score upon historical, physiological and laboratory findings. Probably the other most frequently used score in ED is the Rockall score, which in its full form utilises endoscopy findings, however for use in the ED (pre-endoscopy) it has been modified and utilised. Have a listen to how these scores fare in the paper and it may inform your risk stratification in the ED. It's never long before the topic of pulmonary embolism makes it back into the controversial lime light and a recent paper on the association of PE with syncope is the lastest reason. The PESIT trial, just published in the New England Journal of Medicine certainly grabs your attention when you read the abstract, with the implication that PE's are a major and hugely missed cause of the presentation of syncope. It also highlights a diagnostic work up that consists of blanket Well's scoring +/- d-dimer to decide who should be worked up further for the potential diagnosis, for every single patient presenting with syncope, including those with no appropriate symptoms or signs! Prospective evaluation of unsuspected pulmonary embolism on contrast enhanced multidetector CT (MDCT) scanning. Ritchie G. Thorax. 2007 Jun. In this podcast we'll cover a paper looking at the significance of chest compression rate, ultrasound for prognostication (and to a lesser extent identification of tamponade) and finally a systematic review and meta-analysis of PCI following ROSC. The PCI paper follows on nicely from our previous podcast on the topic, so make sure you have a listen to that one first. Stroke thrombolysis has definitely put the spotlight back on to the topic of stroke over the last few years. Stroke thrombolysis has led to restructuring of stroke care in the UK and has helped drive investment in stroke care. The evidence base that underpins thrombolysis has been controversial to say the least and can be difficult to comprehend. The article, published in the the Emergency Medicine Australasia Journal is a great place to start to get to grips with the topic. In the podcast we run through the paper and hopefully this will shed act as a good recap on the topic and lead you to delve into the primary literature and form your own opinion. Risk assessment, testing and risk management form the very heart of Emergency Medicine and Critical Care. Being aware of the evidence surrounding a topic is key to delivering high level care but without an understanding of the underpinning concepts it's application is extremely limited. Understanding how a test result changes a patient's likelihood of a disease can be described with likelihood ratios, the Royal College of Emergency Medicine has a podcast explaining likelihood ratios in more detail. But when a test result comes back on the boundary between positive and negative, or at the extremes of positive we can find it difficult to know what this means and that's where interval likelihood ratios comes into play. Examples include a minimally elevated WCC in a suspected appendicitis, or a dramatically raised d-dimer as compared to a borderline positive result in a suspected pulmonary embolus, this podcast talks through some of those concepts and their application, enjoy! This month we cover a paper looking at the role of early craniectomy for raised intracranial pressure, the outcomes associated with advanced airway managements in prehospital cardiac arrest and lastly at the utility on ETCO2 and consider if it's application decreases adverse respiratory events. This month our great sponsors ADPRAC our giving away a £30 iTunes voucher to spend on education/entertainment to support your work life balance! All you need to do is click the link on our home page through to the ADPRAC website and answer the question relating to the podcast, good luck! Guidance regarding the ongoing observation of these patients is not contained within the guideline but as with much of Emergency Medicine variation between departments and regions vary in the threshold to admit patients with a normal CT head due to concerns of these patients developing a delayed bleed. A recent systematic review and meta analysis on the topic has just been published and we thought it would be worth a look. The paper gives an interesting take on the risk we are dealing with following a normal scan in presentation to the ED and whilst the papers contained may not be the strongest level of evidence the meta-analysis is probably the best we have to go on at present. Enjoy and we'd love to hear any of your thoughts! Here's a look at some of the papers that caught our eye this month. We cover a paper looking at the the potential benefits of ketofol over propofol for conscious sedation, the role of aggressive blood pressure reduction in haemorrhage stroke and finally a really interesting paper of PE thrombolysis in cardiac arrest. Send your answer via email to contacttheresusroom@gmail.com with your name, answer and iTunes email address, entries close on 15th September and we'll announce the winner in October's podcast. Pulseless electrical activity in pulmonary embolism treated with thrombolysis (from the "PEAPETT" study). Sharifi M. Am J Emerg Med. 2016 Jun 30. Where does the role of a chest X-ray lie in major trauma? With the ever increasing use of CT and ultrasound in the resus room what role does the old school CXR hold? How many injuries will it pick up? How many will it miss? And when is the extra delay justified? This podcast looks at a recent paper on the topic and some related national guidelines. Enjoy! Burns are a common presentation to the ED and can result in a significant degree or morbidity and mortality. In this podcast we talk through the approach and treatment of burns along with some controversies in the literature regarding assessment of burn depth and fluid management. Enjoy! The Parkland formula under fire: is the criticism justified? Blumetti J, et al. J Burn Care Res. 2008 Jan-Feb. In this podcast we cover a paper looking at the significance of findings with the history, physical exam and imaging in subarachnoid haemorrhage to inform your work up. We look at another paper focussing on total body versus selective CT scanning in trauma and lastly a paper looking at the validation of the DECAF score to predict mortality in COPD exacerbations. We've also got the e book 'ABC of Emergency Radiology' to give away on iTunes thanks to our new sponsors ADPRAC. Send your answer via email to contacttheresusroom@gmail.com with your name, answer and iTunes email address, entries close on the 15th August and we'll announce the winner in September's podcast. If you've had an MI with a STEMI or a new LBBB the decision to go to the cath lab is pretty straight forward. If you've collapsed with a cardiac arrest of presumed cardiac aetiology (the majority of them) and gained a ROSC (return in spontaneous circulation) then the decision to go the the lab immediately is pretty variable and can depend of the clinicians involved, the ECG or the system within which you work. We'd love to hear feedback and comments on the podcast in the comments section. Enjoy! I haven't always read papers and with the time pressures of training and life it's impossible for us to be on top of all of the literature. But over the last few years I've come across some papers that I wish others had told me about. For some of you this will all be a recap but for others hopefully it will spark an interest and get you to have a look at the papers yourself. We all know that it is extremely rare that one paper alone will or should change our practice but hopefully it's the interest and further questions into a topic that can come out of these papers. Enjoy! So the long awaited new NICE Guidelines on Sepsis have just been released. I'm no sepsis expert, I'm not on a panel involved with the guidelines but I am someone who is going to be trying to use these guidelines everyday at work with multiple patients and I'm not the only one....we all are! In this podcast we run through some of the main points brought up in the new guidelines. Talk about some potential difficulties and join toward some useful resources such as the brilliant flow charts developed by the Sepsis Trust. Let us know your thought and feedback either via the site www.TheResusRoom.co.uk or on twitter @TheResusRoom. Enjoy! Make sure you go and have a look at the papers yourself to see what the evidence means to you. Sensitivity of Early Brain Computed Tomography to Exclude Aneurysmal Subarachnoid Hemorrhage: A Systematic Review and Meta-Analysis. Dubosh NM. Stroke. 2016 Mar;47(3):750-5. doi: 10.1161/STROKEAHA.115.011386. Epub 2016 Jan 21. How safe is ED sedation? Sedation is becoming an ever more significant part of our work in the Emergency Department. At the end of May 2016 the Royal College of Emergency Medicine Published the RCEM Sedation Audit of 2015-2016 that covered more than 8,000 ED sedations throughout the UK (involving more than 190 ED's). There are some pearls to take out of this great piece of work in which there would seem to be some significant scope to improve. The document not only benchmarks our practice but helps give us a feel for the risks involved. Have a listen and check out the resources mentioned via the hyperlinks below, most importantly make sure you have a look at the document itself. Carbon Monoxide poisoning is definitely one of those differentials that you consider when the patients books into ED with '?carbon monoxide poisoning'...... but how much do we really think about it in a patient that hasn't been sent down to the ED with this specific thought in mind? Rob Fenwick talks us through the key points of Carbon Monoxide poisoning and some recent evidence on the topic which will probably make us consider the possibility a bit more frequently! This podcast was based around the post Rob wrote for Jonathan Downham's superb Critical Care Practitioner podcast. Go and have a look at the post for a lot more information on the topic. Here's a look at some of the papers that caught our eye this month. We have a look at patient positioning for RSI, the implication of hypothermia on arrival in the ED and the reliability of clinical assessment of syncope in our elderly patients. Head-Elevated Patient Positioning Decreases Complications of Emergent Tracheal Intubation in the Ward and Intensive Care Unit. Khandelwal N. Anesth Analg. 2016 Apr;122(4):1101-7. doi: 10.1213/ANE.0000000000001184. Effects of prehospital hypothermia on transfusion requirements and outcomes: a retrospective observatory trial. Klauke N. BMJ Open. 2016 Mar 30;6(3):e009913. doi: 10.1136/bmjopen-2015-009913. So this is a talk I gave at the EMCEF 22 conference. This covers a few of the papers we've discussed in the last 6 months on the podcast but a bit of spaced repetition is never a bad thing! We'll be running through topics on heart failure, sedation, intubation, anaphylaxis and duration of cardiac arrest. The papers are well worth a look and whilst not all high quality evidence they do bring to the front some really interesting questions about are practice and prompt us to challenge our habits. Enjoy! Incidence of Adverse Events in Adults Undergoing Procedural Sedation in the Emergency Department: A Systematic Review and Meta-analysis. Bellolio MF. Acad Emerg Med. 2016 Feb;23(2):119-34. doi: 10.1111/acem.12875. Epub 2016 Jan 22. Utility of gum-elastic bougie for tracheal intubation during chest compressions in a manikin: a randomized crossover trial. Komasawa N. Am J Emerg Med. 2016 Jan;34(1):54-6. doi: 10.1016/j.ajem.2015.09.016. Epub 2015 Sep 21. Defining the learning curve for endotracheal intubation using direct laryngoscopy: A systematic review. Buis ML. Resuscitation. 2016 Feb;99:63-71. doi: 10.1016/j.resuscitation.2015.11.005. Epub 2015 Dec 19. Incidence of clinically important biphasic reactions in emergency department patients with allergic reactions or anaphylaxis. Grunau BE. Ann Emerg Med. 2014 Jun;63(6):736-44.e2. doi: 10.1016/j.annemergmed.2013.10.017. Epub 2013 Nov 13. Impact of cardiopulmonary resuscitation duration on survival from paramedic witnessed out-of-hospital cardiac arrests: An observational study. Nehme Z. Resuscitation. 2016 Mar;100:25-31. doi: 10.1016/j.resuscitation.2015.12.011. Epub 2016 Jan 13. In this episode we were lucky enough to catch up with Sam Sadek, EM Consultant at The Royal London hospital and HEMS doctor and also Zaf Qasim EM Consultant in Delaware in the United States. Both have been heavily involved in the setup and delivery of REBOA service in their respective posts. In this podcast they share their experience and expertise on the topic of setting up a REBOA service. A huge thanks to both of them as this is a superb podcast for anybody considering getting involved in REBOA. 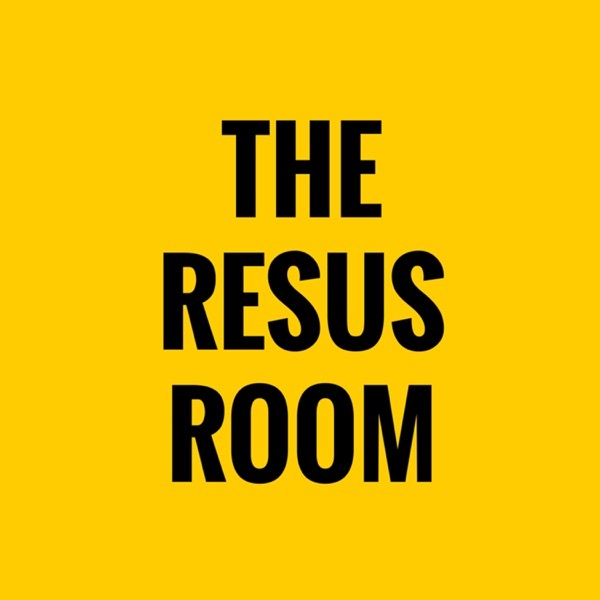 Recent podcasts on REBOA on ERCAST and EMCrit are essential listening and serve as great preludes to our discussion so make sure you check them out. Please pop any comments or questions at the bottom of the page and we will come back with a Q&A podcast on the topic really soon! Resuscitative endovascular balloon occlusion of the aorta: a gap analysis of severely injured UK combat casualties. Morrison JJ. . Shock. 2014 May;41(5):388-93. doi: 10.1097/SHK.0000000000000136. Resuscitative endovascular balloon occlusion of the aorta might be dangerous in patients with severe torso trauma: A propensity score analysis. Inoue J. J Trauma Acute Care Surg. 2016 Apr;80(4):559-67. doi: 10.1097/TA.0000000000000968. The inflammatory sequelae of aortic balloon occlusion in hemorrhagic shock. Morrison JJ. J Surg Res. 2014 Oct;191(2):423-31. doi: 10.1016/j.jss.2014.04.012. Epub 2014 Apr 13. Resuscitative endovascular balloon occlusion of the aorta (REBOA): a population based gap analysis of trauma patients in England and Wales. Barnard EB. Emerg Med J. 2015 Dec;32(12):926-32. doi: 10.1136/emermed-2015-205217. The European guideline on management of major bleeding and coagulopathy following trauma: fourth edition. Rossaint R. Crit Care. 2016 Apr 12;20(1):100. doi: 10.1186/s13054-016-1265-x. Implementation of resuscitative endovascular balloon occlusion of the aorta as an alternative to resuscitative thoracotomy for noncompressible truncal hemorrhage. Moore LJ. J Trauma Acute Care Surg. 2015 Oct;79(4):523-30; discussion 530-2. doi: 10.1097/TA.0000000000000809. So we were lucky enough to be asked to cover the Trauma Care Conference and specifically today's day focussing on Major Trauma in the Emergency Department. We managed to to get a few minutes of time from some of the superb speakers and get their take home messages from their talks. Enjoy! Here's a look at some of the papers that caught our eye this month. We cover the best way to diagnose heart failure, the risks associated with hyperopia and the utility of ETCO2. Take the time to have a look at the papers yourself and leave any feed back or comments at the bottom of the page, enjoy! So in this short podcast we're going to run over the summary of recommendations just published by the British Thoracic Society and the Intensive Care society on the Ventilatory Management of Acute Hypercapnia Respiratory Failure in Adults. This isn't in anyway intended as a replacement for reading the document itself so please make sure you take the time to do that. Needle decompression of a pneumothorax is a time critical and life saving procedure. Classical teaching is to perform this in the 2nd ICS midclavicular line but is this the easiest and most effective place to perform it? In this podcast I speak with Zaf Qasim, an EM physician in the US about the topic and the underpinning EBM. Below are some of the papers we'll be discussing. Enjoy! This month we're looking at the JAMA paper on the new sepsis definitions, adverse event rates in ED sedation, interventional treatment for the over 80's with ACS and more! Welcome to February's papers of the month. This time we're talking about decompressing tension pneumothoraces, nasal oxygenation, prognosis of cardiac arrest with respect to duration and more! Rob Fenwick talks us through some key points regarding anaphylaxis and some recent literature which may be a surprise regarding biphasic reactions, enjoy! Here are the papers that caught our eye this month including direct vs video laryngoscopy, ultrasound for shortness of breath, ecg findings in PE and more!